Many petroleum products require testing by established industry methods. 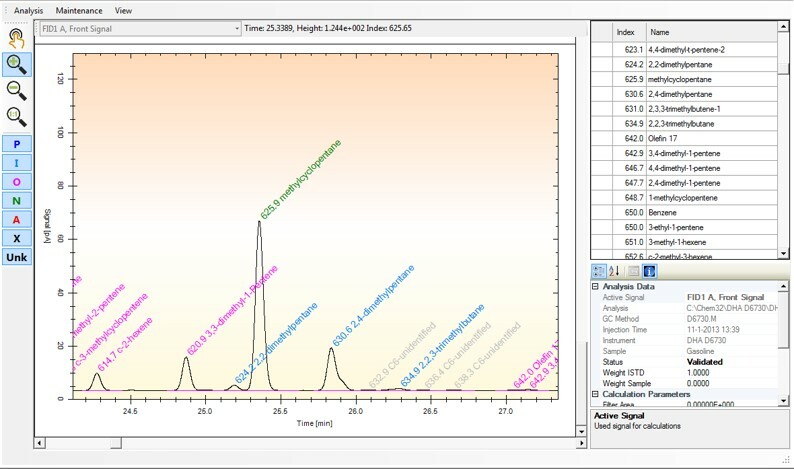 These are often based a chromatographic separation, but the required results need data analysis tools beyond those typically found in chromatography data systems (CDS). 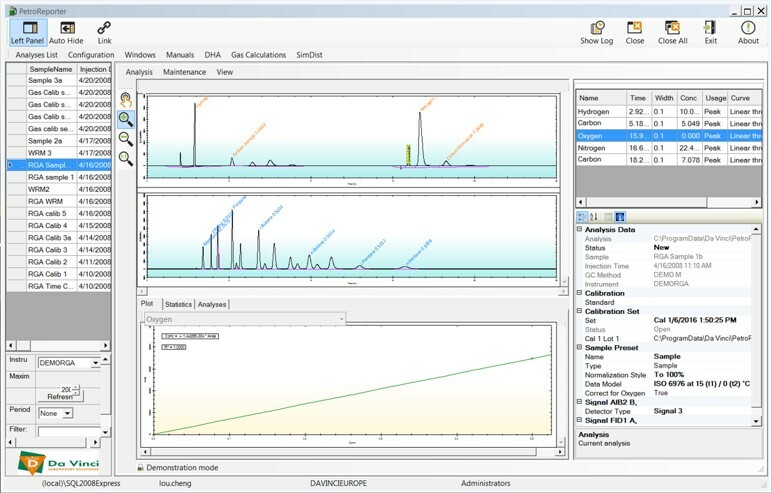 PetroReporter is a universal software platform that allows testing laboratories to use one software package to process and report all petroleum samples. PetroReporter from Da Vinci Laboratory Solutions automates data processing of petroleum samples ranging from gases, through fuels, all the way to crude oil. After processing PetroReporter creates the required reports and allows for both printing or export of results. An industry standard SQL database is used to store sample defaults, reference data and results and can be used either standalone or in a client/server configuration. 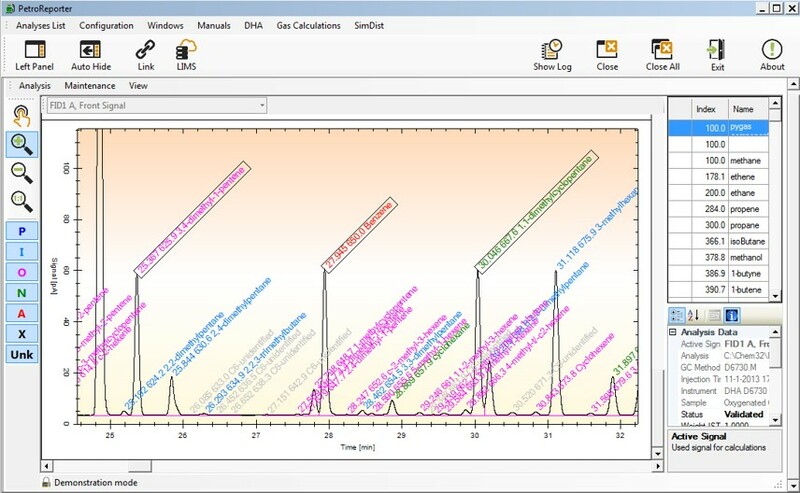 The client/server architecture allows data to be captured from gas chromatographs anywhere on the network and the analysed from any PC workstation. 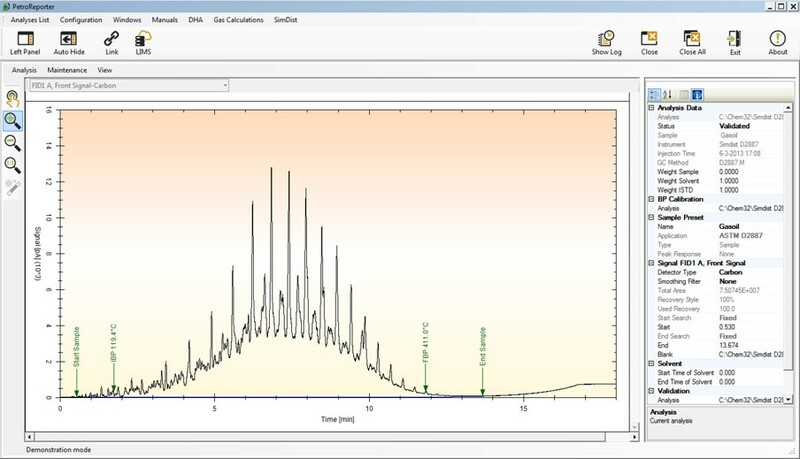 This module supports simulated distillation of all petroleum streams, from light naptha to crude oil. All accepted industry standards are supported with many reporting options such as Flash Point Correlation and Motor Oil Volatility to name but two. As the name suggests Detailed Hydrocarbon Analysis can be a challenging business as the number of isomers increase exponentially with carbon number. PetroReporter provided the tools to meet this challenge and ensure robust identification. Both natural and refinery gas analysis is typically performed on a multi-channel GC with the gas sample being passed through different columns of different selectivity and the eluents being detected by Flame Ionisation (FID) and Thermal Conductivity (TCD) detectors. 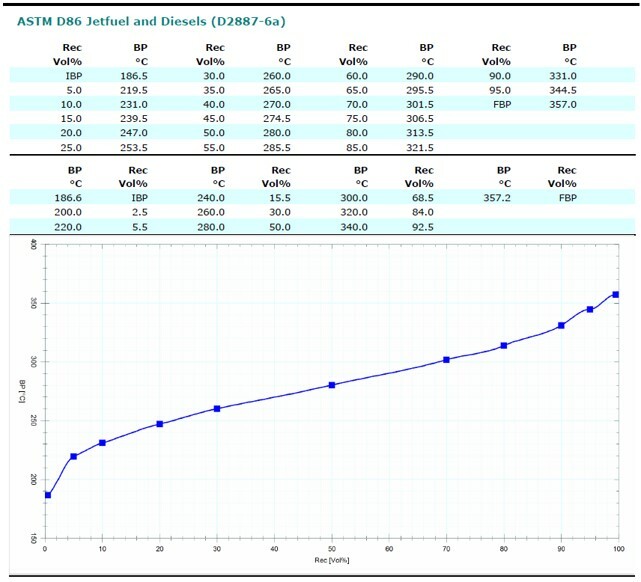 These different channels of data need combining before a complex set of gas calculations can performed. With the introduction of biodiesels feeds produced from plant and animal derived oils there come the need to measure quality. 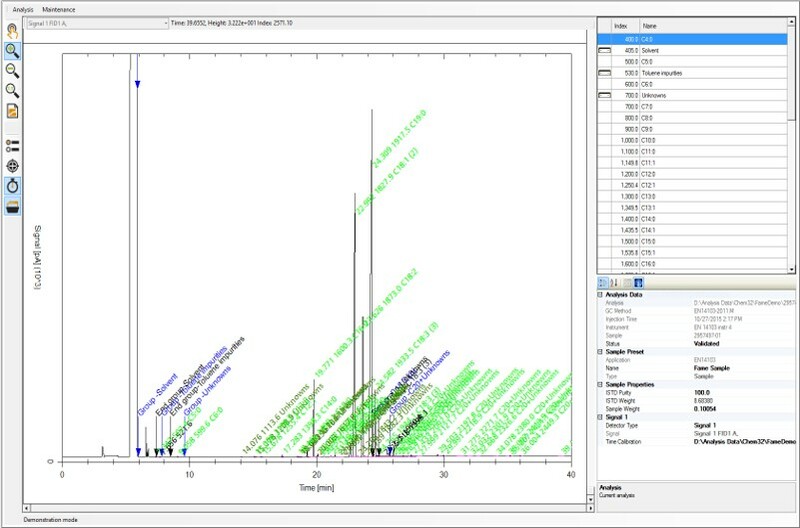 PetroReporter’s FAME module performs EN14103 to measure total ester and methyl linolenate content.